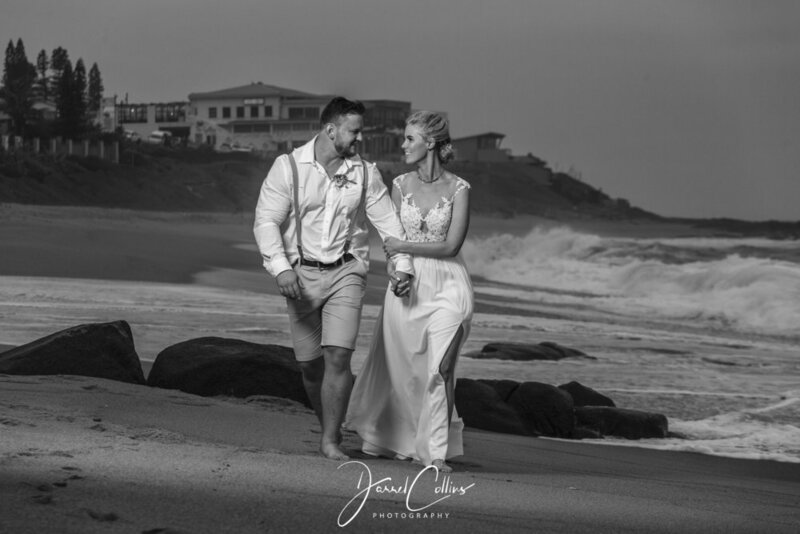 Nicole and Nicky married each other at the Boathouse in Ballito on Saturday. Nicole looked stunning in her dress from Bride & Co and her hair done by The Beauty Spot and makeup by Robyn Van Skalkwyk. Despite the wind and rain everyone was in high spirits and the day went perfectly. Thank you Nicole and Nicky for allowing me to be a part of your special day.